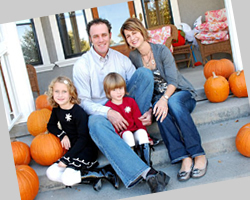 On April 22, 2011, Dylan (35), Amy (34), Chase (7) and Ansley (5) Spencer of Scott City perished in a tragic plane crash near Topeka, Kan. while flying to visit family for Easter weekend. They left behind a town that had been incredibly touched by the enthusiasm and passion they brought to their lives and their extensive involvement in the community. 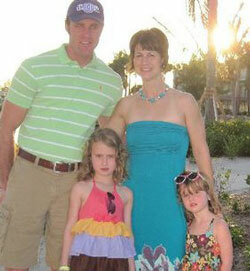 The death of the Spencer family was a terrible loss for Scott City. However, the reality of the devastating event was a stark reminder of the risks involved with flying, and the great need for local pilots to have access to resources and training opportunities so as to keep their skills as sharp as possible and help ensure their safety while in the air. Dylan harbored a deep love for aviation that shone through his involvement in many aspects of the community, including serving on the Scott City Municipal Airport board and taking part in numerous aviation-based activities. Amy was passionate about education and touched many lives through her dedication to learning as an early childhood special educator. It was very important to both that these things flourish in the community they loved so dearly. The events surrounding their death served as a catalyst to local pilots and community members alike to step up and take action to meet the need for flight education and training opportunities, while at the same time honoring the memory of the Spencer family and their irreplaceable impact on Western Kansas residents.